Right now my family and I are about to make some big changes in our lives. Right now we live in St. Petersburg, FL and in about 2 weeks we are packing everything up and going to Delaware. My dad side of the family live up there and it is going to be a fresh new start for everyone. Also my blog will be making new changes. It is going to have a whole new look and new type of posts. Recently I have been couponing to try and help our family save money. I will be posting great deals and freebies. Also my great deals that I score. I can’t wait to share this journey with everyone! Before our movie, me and the hubby got to go out to dinner. I was not sure where I wanted to eat and neither did he. Then I remembered this one place that he told me about right next to one of his job sites. 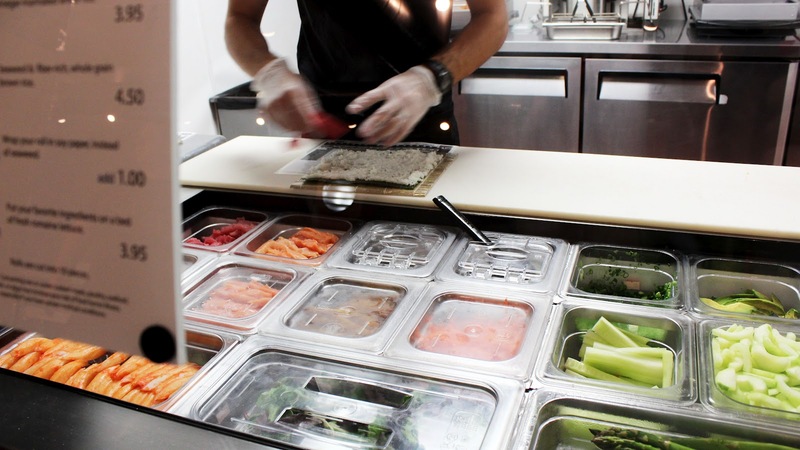 It was called Rollbotto and is now one of my favorite places to eat!! Now before I begin, you need to know this one thing. I LOVE sushi, I mean, I LOVE IT!!!. A few years ago, I got my hubby into it, so now he loves it to. When I walked into this place, I was so happy. This is what I saw…. This place is amazing, so much sushi, I had no idea where to start. They had signature sushi, and they had it where you can make your own rolls. Whatever you wanted, as long as they had it you could have it on your sushi. The prices are reasonable and so many items to choose. Now I picked out the Japanese Bagel, which had smoked salmon, cream cheese, green onion, cucumber and sesame seeds. Also made a custom roll which I had white sushi rice, tuna, cream cheese, avocado, smelt roe, Japanese mayo, and eel sauce. Now, let me tell you the Japanese bagel was really good but my custom one was AMAZING! There are so many different items to choose from, the options are endless. The prices are reasonable and somethings can add up. There are add on items and tons of different drinks to pick. The hubby got shrimp pot stickers that were really yummy. If you love sushi, I would definitely go to this place. I can’t wait to go again. This week I was able to go on a date with the hubby. Which was long over due, with his work schedule and all the hours he was working it was hard to do anything in the past. With his promotion he now has a set schedule and we are able to plan things. Anyways this weekend we went out to eat and went and saw a movie. 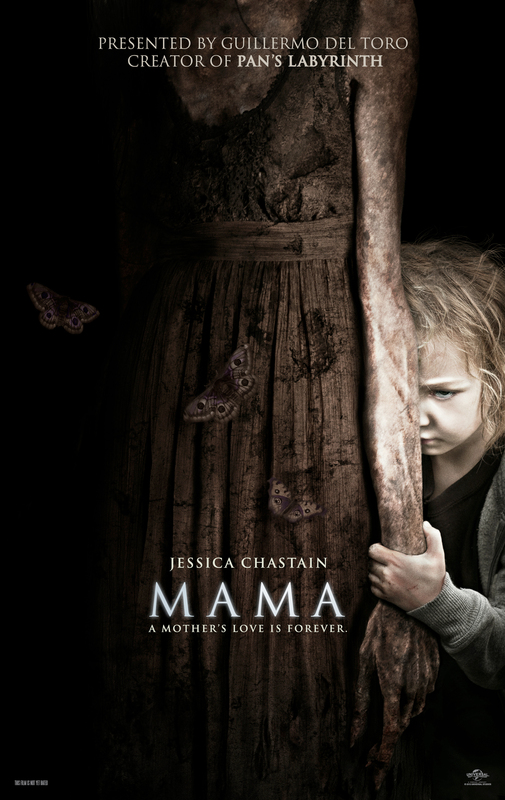 The movie I picked out for us to watch was Mama and the hubby agreed to watch it. We saw it in a RPX showing, which I think is worth the extra money. RPX is short for Regal Premium Experience and it has a bigger screen, awesome sound and comfy leather seats..lol. Now on to the movie…. I thought the movie was good, it had a good story and even though most of the “scary” parts were predicable I liked them. The story is about two sisters that were in the forest for five years alone or so was thought. The plot was good, it was not cheesy and predicable like some of the other horror movies out there. There were plot turns that I did not see coming. If you are into scary movies, I would definitely recommend this movie, especially going to see it at the theaters. Next a review of where we went to dinner at. My life has been super crazy. I have had a second child since my last post. His name isnDominic and he was born on February 7th, 2012. Since now I have a kindle fire, I would love to start posting again. So, in the next few weeks I will be updating and start posting stuff on here. Can’t wait to get back posting. Master Chief or Noble Six? Game Banter: What were they thinking??? Yes! It is time for another blog for the Game Banter. I took me a while to think of a game that I have played that was really bad. There has been a lot through the years that I could not stand playing. From some of the indie games to games they make about a certain movie. So I thought I would pick a game I have played recently that was really bad. 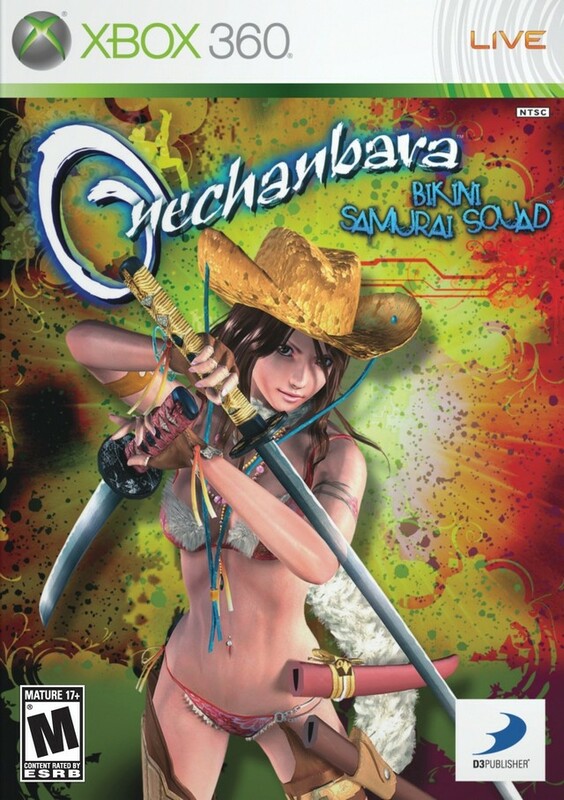 The game I came up with was Onechanbara: Bikini Samurai Squad. Now when I first saw this game, I will admit I was very excited to try out they game. I mean, come one who doesn’t love killing monsters with a girl who has basically nothing on?? Well, when i first played it, i was curious on how good it would be. Then as playing it got really old to me. It was the same thing over and over again. I didn’t really like the controls to the game and I thought the camera angles were really bad. After playing about 10- 15 minutes of this game, I turned it off. I was really disappointed on how the game was. Also when I play a game, I love when i get an achievement. I am not the person who is obsessed with getting them all at once, but I love working on getting them in time. In this game I was really confused on how to get them and what you had to do. That also made another thing about the game that I did not like. If i feel like killing zombies, I would rather play some resident evil or some Left for Dead than this game. This post was part of Gamer Banter, a monthly video game discussion coordinated by Terry at Game Couch. If you’re interested in being part of this, please email him for details. The Game Fanatics: What is the worst game you’ve ever played? Master Kitty’s World: What were they thinking??? Zath: What’s the worst game you’ve ever played? SnipingMizzy: What is there to love? gunthera1_gamer: The game I could have loved! The Average Gamer: Gamer Banter: Worst Game EVAR!